Both amendments would shift powers from the executive branch to the legislature when it comes to the state elections board and filling judicial vacancies. The referendum questions for each amendment also were altered — a response to the judges' ruling. Constitutional amendments aren't subject to Democratic Gov. Roy Cooper's veto, but his lawsuit led to the recent judicial ruling. 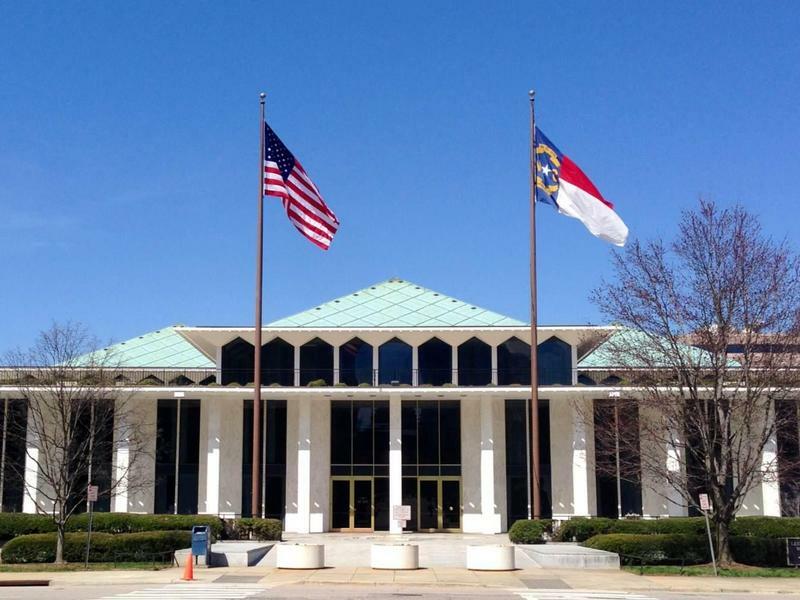 RALEIGH, N.C. (AP) — North Carolina legislators have nearly completed their second effort to put two constitutional amendments on the fall ballot. The state Senate planned Monday to debate and vote on a pair of amendments aimed at complying with a ruling by judges last week. The judges said the referenda attached to the amendments lawmakers passed in June failed to explain suitably what changes would occur if voters approved them. Republican lawmakers called a special session last Friday, when the House voted for the replacement amendments. Both amendments would shift powers from the executive branch to the legislature, although the scope of one amendment was scaled back in the latest versions. Democratic Gov. Roy Cooper sued over the previous amendments and says the new ones remain "dishonest and dangerous." Speaking at a rally Friday in Asheville supporting more public education funding in North Carolina, state senator Terry Van Duyn (D-Buncombe) says even with the changes, she feels GOP leaders should have dropped the amendments following the court ruling. "The bottom line is it is a disrespect for the balance of powers that should exist in our constitution," Van Duyn said.